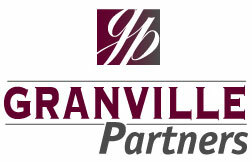 Granville Partners LLC is a long-term investor who seeks to build a portfolio of privately-held companies for capital appreciation over a 10 -20 year time horizon. We invest in business where we can identify a strong combination of capable people, unique and valuable products, quality customer service and supply relationships. Second, we see businesses and owners where there is recognition that wealth-building can be accelerated with the addition of new capital and additional managerial expertise and experience. We prefer to include the owners or management as equity partners so that our long-term incentives are aligned. Third, we invest in companies that either have an established history of profitability, or where we can identify specific areas to enhance profitability from current levels and where we can structure the business balance sheet with a prudent capital structure.